Three giraffes fleeing in the dead of night. A powerful, perhaps ominous moon hangs over their fearful heads. Where are they going? What are they afraid of? There is a sense of urgency this piece that reaches into our hearts from the first moment in which we lay eyes upon it. This is a piece that can prove to be a beautiful addition to not only homes, but to a place of business, as well. 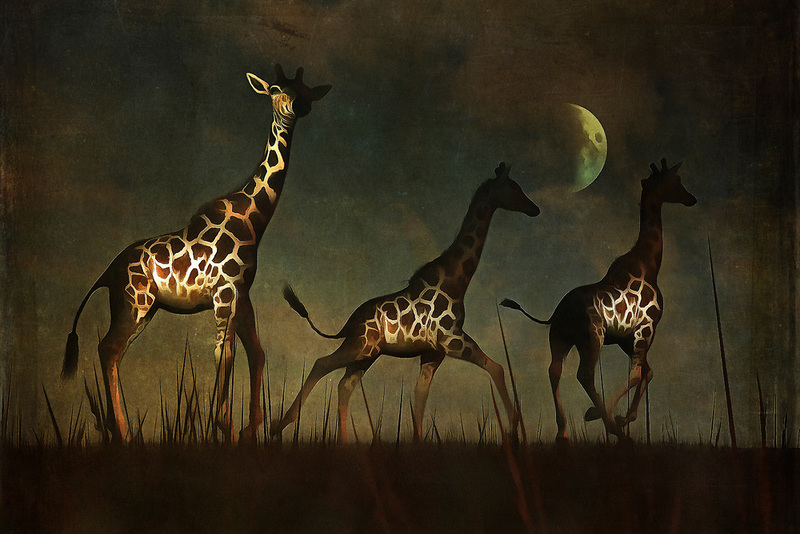 The landscape, giraffes, and moon serve to create something powerful. Available across numerous lovely prints, or as an interior décor product for the home.